A young girl's undying devotion to her offbeat pet sets the stage for this madcap story. Tammy loves her pig. But not everyone thinks a Vietnamese pot-belly is such a great pet. "Give me one good reason to keep that pig!" Mom shouts when Odin eats her garden. Older sister Sonja agrees pigs aren't cool. Even Tammy's dad is losing his patience. With a family meeting looming, Tammy must make a case for keeping Odin. But Tammy and Odin seem doomed to trouble. Perhaps it is foolhardy to paint Odin's toenails. And maybe it's a poor plan to use Mom's best sofa cushions for a think-like-a-pig experiment. And, yes, it probably is a bad idea to drag an anxious Odin to school for Tammy's presentation in Miss Pickles' class. Then, disaster: Odin escapes. Tammy's heartbreak leads to skipping classes and wild searches around the city. 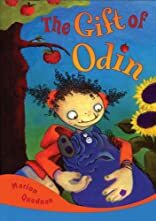 When Odin finally turns up, Tammy's family realizes there is a place for a pig -- and a more responsible Tammy -- after all. About Marion Quednau (Author) : Marion Quednau is a published author of children's books. 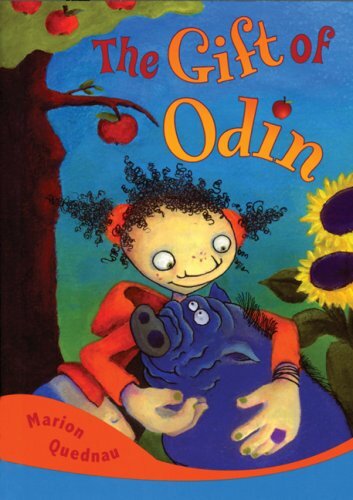 Published credits of Marion Quednau include The Gift of Odin. About Sonja Mulabdic (Illustrator) : Sonja Mulabdic is a published illustrator of children's books. Published credits of Sonja Mulabdic include The Gift of Odin.